Discover the advantages of managed print services, keeping costs down, maintaining your printer ink levels and servicing your printer so you can concentrate on your own business. 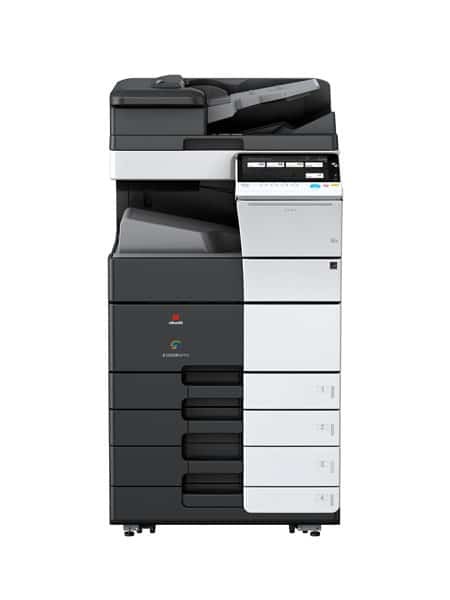 Copy Print services have been selling, servicing and leasing photocopiers in Manchester for over 10 years. We have worked with some of the biggest companies in Greater Manchester and have a vast number of Start-ups, Small and Medium sized businesses who use our services. And we’re proud to call customers. We have built our company on the ethos of providing the highest level of service possible. Whether this be over the phone, dealing with our sales team or reporting a fault and receiving a fix within hours. What Photocopiers Can We Provide? Your local provider of the leading brands of photocopiers, printers, scanners and fax machines including Olivetti, Samsung, Canon, Xerox, Konica Minolta amongst others. From Bolton, Greater Manchester and the North West, we strive to keep your business running and understand how important printing is to your company. That is why we invest our time in developing the best print solution for you and being there for you should it need servicing or you have any issues. We pride ourselves on our unbeatable customer service – the people at Copy Print Services are what make us your number one choice. The first thing we will do is learn about you and your business. If we don’t do this, then we won’t be able to suggest the best solution for you. To do this, instead of throwing 100’s of features of the printer at you we will chat through the business, how you currently use not only the printers in your business but also how you use technology within the business. We then provide a full print audit of what you are currently using, the costs to use this facility and then look to suggest a better, more efficient and cost effective solution. If you are already in a contract and suspect that you could get a better deal – talk to us: I am sure we can help. John Hynes, MD Copy Print Services.